What is Configuration Profile? : Configuration Profile is data file (in XML format) with configuration information that can configure Apple iOS or Mac OS X device. Format of the file is Apple specific and works with Apple devices only. Safari browser will open downloaded file automatically. 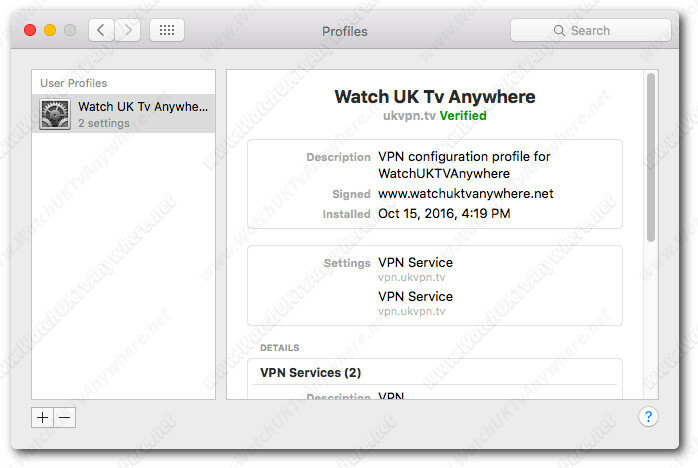 With other browsers you may have to locate the downloaded file named "WatchUKTVAnywhere.mobileconfig" and open it manually. If you already have it, skip to the next step. 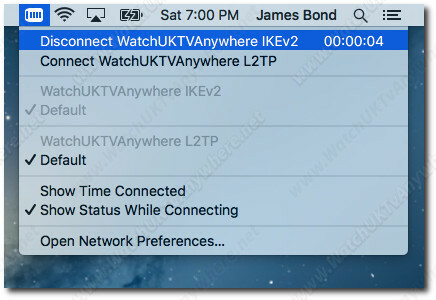 How to Disconnect from or Connect to VPN server. 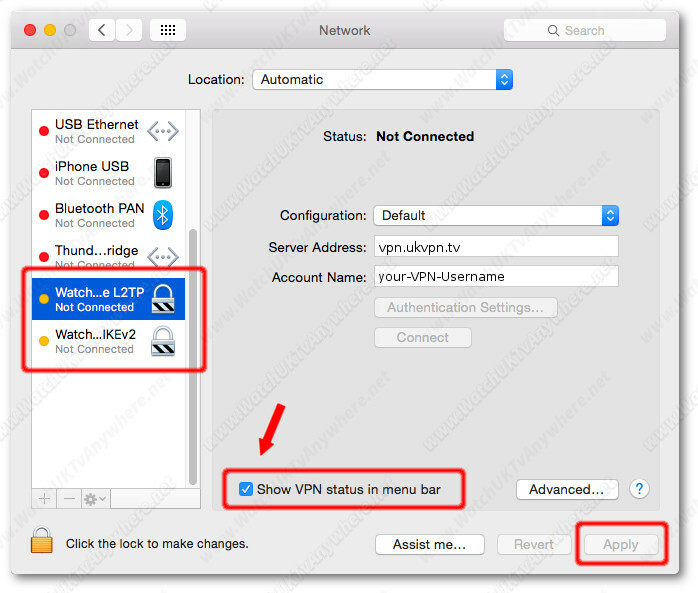 Click on the VPN connections icon, and select Connect or Disconnect. 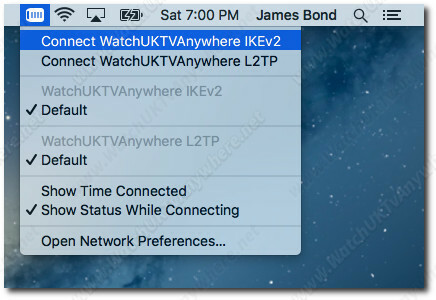 Try both types of VPN: IKEv2 and L2TP to see which one works best for you. But don't connect both at the same time!